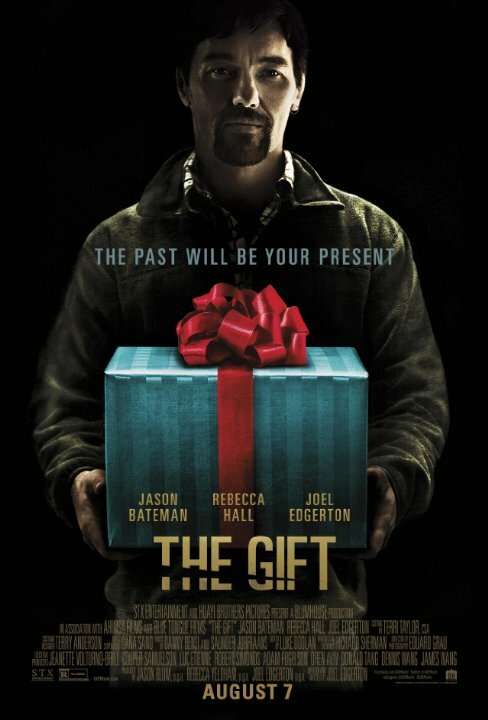 The title of The Gift, a psychological thriller that ratchets up a considerable amount of suspense as the intentions of its characters are slowly revealed, takes on different meaning throughout. It’s these constantly evolving mind games that keep us gripped to this thematically rich and surprisingly smart film, a nail biter that delivers both twisted symbolism and jump scares. Simon (Jason Bateman) and Robyn (Rebecca Hall) are a young married couple who have just moved to an affluent new home in California. But this seemingly idyllic suburban existence that they are desperately trying to build, is threatened when the mysterious Gordo (Joel Edgerton) reenters their lives. A former classmate that Simon hasn’t seen in over twenty years, at first Gordo makes his presence known in the form of some odd but seemingly well intentioned gifts and surprise visits, perhaps too socially awkward to recognize his blurring of the boundaries. But when dark secrets from their collective past start to be revealed, it becomes clear that something much more sinister is going on. Jason Bateman and Rebecca Hall make a convincing modern couple, with him fascinatingly revealing different layers throughout, and her helping represent our own sense of fear as the story goes on. Joel Edgerton delivers compelling supporting work, affectively portraying the underlying pain and mental illness of his almost tragically disturbed character, who vacillates between sympathetic loner and potential threat. The actor also shows a fine touch behind the camera in his directorial debut, practising incredible restraint in the way he frames the characters and allows the story to unfold, building a palpable sense of atmosphere through the grey toned cinematography. What really makes The Gift succeed is the strength of Joel Edgerton’s writing, and how well drawn each of the three main characters are allowed to become over the course of the story. This is essentially a three character morality play, and the dynamic between them is gripping to watch, becoming increasingly suspenseful as more secrets are revealed, constantly changing where our sympathies both do and don’t lie. There are also some great biblical undertones to the story, not only of forgiveness, but also of an eye for an eye, exploring the fine line between letting go and getting revenge. The film’s final twist, and ultimate meaning of what the title gift could represent, is sure to be hotly debated afterwards, leaving the audience with a chilling sense of uncertainty. It’s this ability to burrow deep under our skin that makes The Gift such a gripping psychological thriller, delivering surprising and thought provoking twists right through to the end, with multiple jump moments along the way.